Maximise the power of your IP phone system without spending a fortune. Fixtel will help your business to lower communication costs and increase your phone system functionality. Cloud technology provides seamless integration with your business and reduces upfront costs. 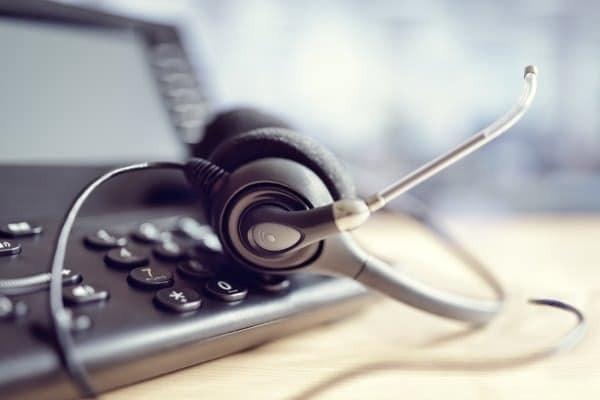 Ongoing running costs are also much lower due to your business not having to utilise on site IT personal and needing to regularly upgrade telephone equipment. We have a range of flexible payment options for VoIP phone systems. Consistent and known price planning means your business can plan easily. Our hosted services can be tailored to your business and provide additional services like IT helpdesk or scalability planning. Select from monthly plans or pay in advance based on your needs. Fixtel offers business grade SIP voice service. The service is suitable for businesses wanting a voice solutions to replace ISDN. SIP plans are offered in blocks of 5 lines, 10 lines, 15 lines, 20 lines and if your business requires over 20 lines we can offer tailored plans. All plans have the option to scale up for specified time periods. IVR systems – interactive voice response (press 1 for sales etc). Call queuing – designed for businesses that need to distribute incoming calls to specific departments based on the caller demand, extensions dialed, or other criteria. Extension assignments – assign internal extensions as desired. Number porting – meaning the ability to use your current business phone number with the new service. Voicemail to email transcription – employees can read or play their voicemail from wherever they receive email. Smartphone integration – transfer calls to and from mobiles, make calls from mobiles through Voip system, integrate CRM systems to tablets and laptops. A Voip phone is a cloud software based telephone system. It can also be integrated with phone hardware.It is designed to use voice over IP technology and send plus receive calls over an IP network. Basically it converts analog into digital. Meaning analog calls can be transmitted digitally over the internet and conversely incoming calls via the internet transmitted to telephones. By using the internet businesses save a lot of costs as it is cheaper than standard phone lines. This is especially true for businesses that often have long-distance or international calls, as VoIP calls are charged as a local call. VoIP systems can be referred to as virtual systems due to no phone hardware needed. Other terms include hosted and virtual PABX. Fixtel provides businesses with a hosted phone system that will virtualise their communications. With a monthly subscription the cloud system is set up to plug in and go. Business hosted PABX systems bring high level business functionality at a fraction of the cost. Employees can work from the road or office with the same phone system. And the Avaya IP Office system can be automatically updated with no downtime. Upfront costs are much lower than traditional phone systems as Avaya IP is integrated into the existing devices; computers, laptops, mobiles, tablets. Benefits include increased efficiency and lower ongoing costs using digital data not traditional phone lines. Fixtel is a leader in this field and as Avaya experts we deliver communication solutions that are scalable, manageable and instinctively smart. Our service for VoIP Melbourne, VoIP Sydney, VoIP Brisbane and VoIP Gold Coast are in high demand. In addition we offer virtual PABX service across all regions of Australia. Fixtel is highly competitive in all sized business as it makes any sized business work to the same quality as a large corporate centre. Particularly popular is VoIP phone system Melbourne and Sydney. We have dedicated VoIP phone systems teams in both Melbourne and Sydney that set up IP phone systems and if needed can deliver 24/7 IP Helpdesk services. Speak to a Fixtel expert to discover what VoIP options will work and improve your business functions. And the best VoIP phone to provide customer call flows that enhance customer satisfaction. Get the best VoIP system and setup for your Business with Fixtel. Our team are highly trained in technical and practical applications of VoIp phones. Cloud telephone technology is so easily integrated to all businesses. Its getting the right provider that makes the difference. Fixtel has a large Australia wide team and decades of experience. Our clients range from small business to call centre operations. Virtual PABX plans by Fixtel are tailored to make your business run efficiently and offer the customers the best experience.